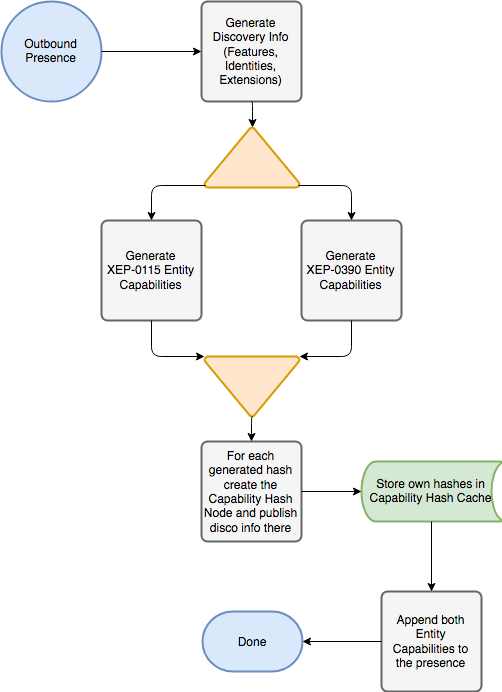 Enthusiastic XMPP developers probably already know about the new XEP-0390: Entity Capabilities 2.0 specification which is intended to replace the old one, XEP-0115. I've recently implemented it and like to share my experience with it. One of the requirements of the spec was to have both the old and new specification in place for a certain transition period. Both have a set of hashes (the old one only has one, which is itself), both can create a verification string from a set of features and identities and both can create a "capability hash node", each using their own algorithm. 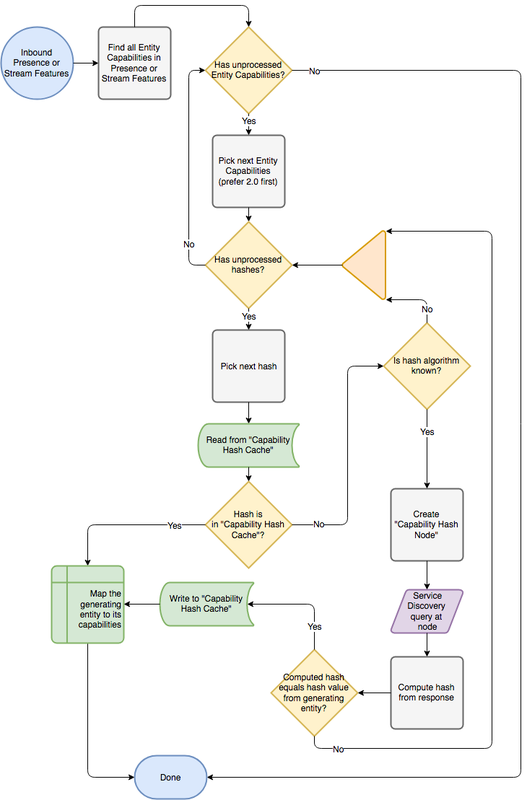 The interface Hashed is implemented by the old Entity Caps and also by the XEP-0300 hash element. InfoNode is a disco#info query response (features, identities, extensions). I hope you liked this little presentation about how both XEP-0115 and XEP-0390 can be implemented behind the same interface. 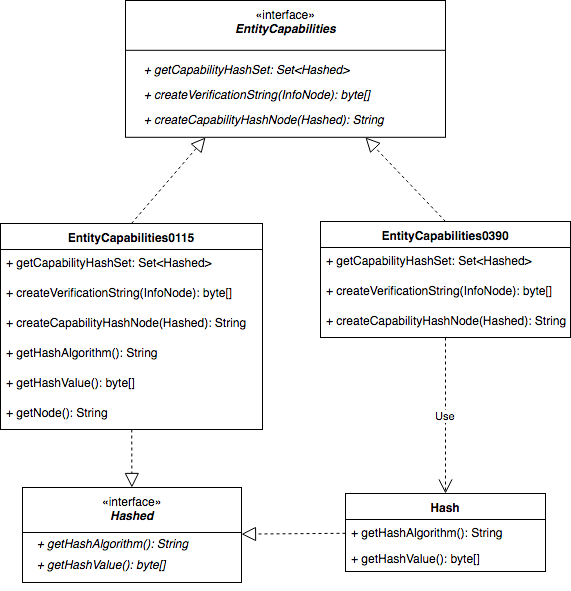 Entity Capabilties 2.0 will of course be available in the next release.